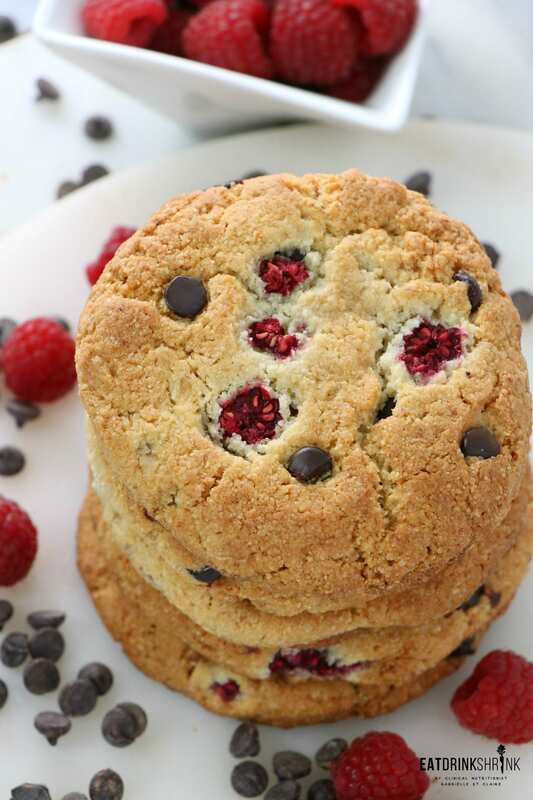 Vegan Almond Flour Raspberry Chocolate Chip Cookies - Eat. Drink. Shrink. 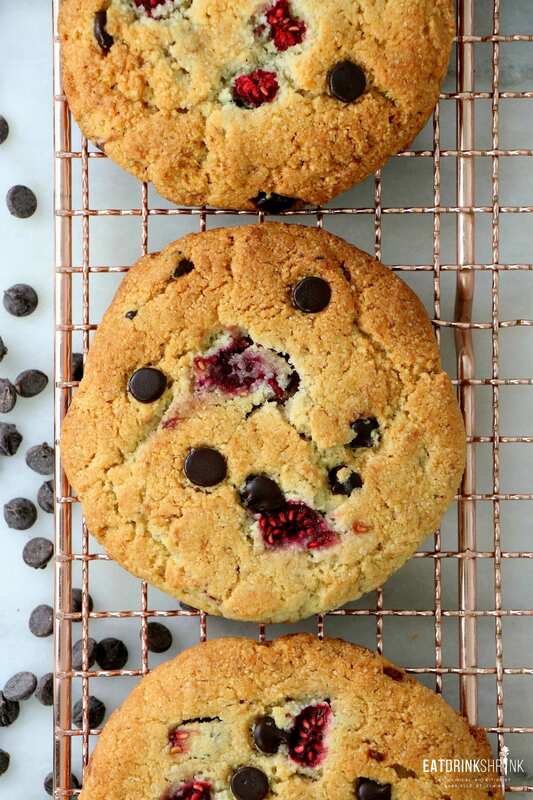 Lately I’ve been whipping up effortless treats that are almond flour based with minimal ingredients and involve a no fuss process. 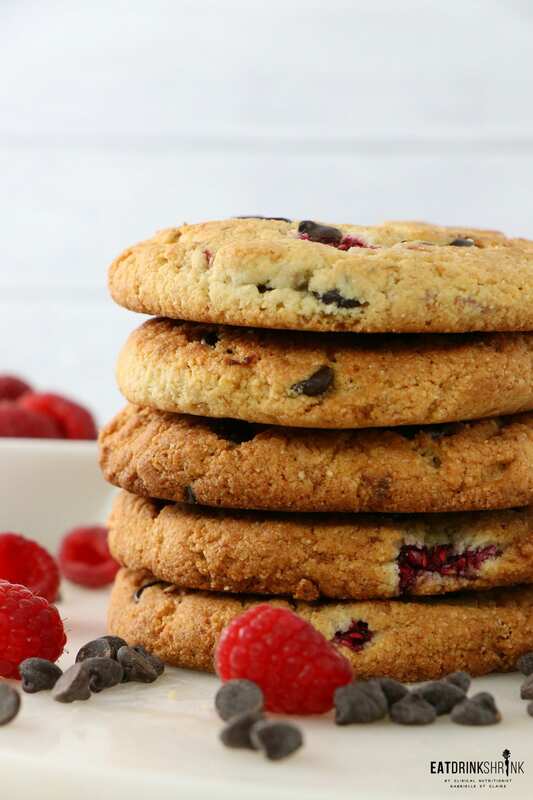 When it comes to working with almond flour, I’ve found that results may vary with the final product, which is why I gravitated more towards traditional flours. However, I’ve been exploring various concepts and have found a new found love for almond flour, because when it works its fabulous! As of lately, I’ve only had 1 recipe that failed and that’s because I used inspo from someone else and didn’t go with my gut lol.. and boom, and epic failure. 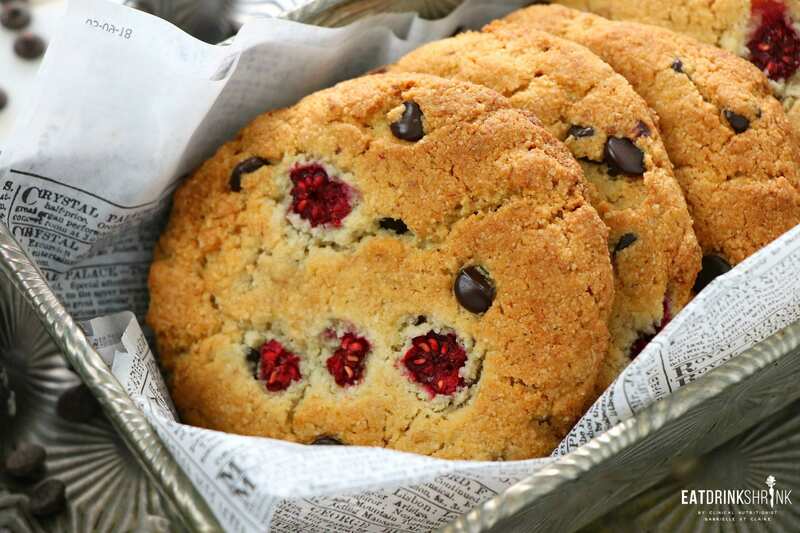 This almond flour based cookie though, has yet to fail me, and always comes thru! 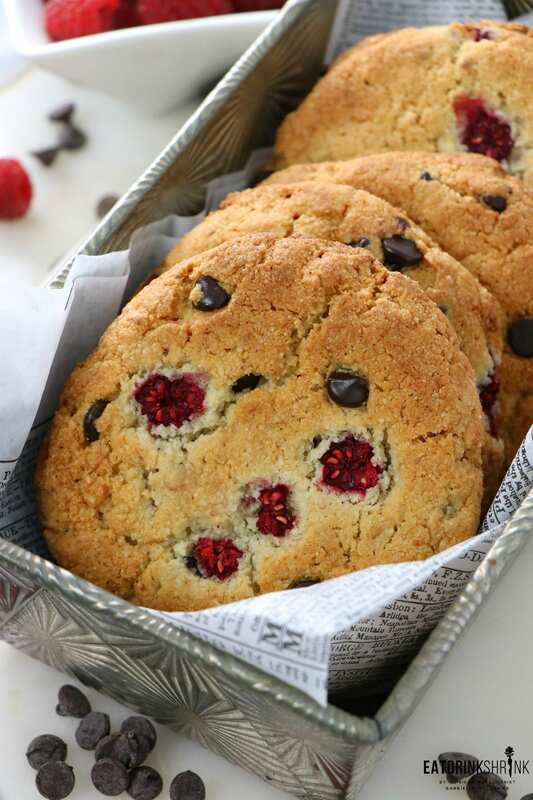 What’s fab about this recipe, is everything! 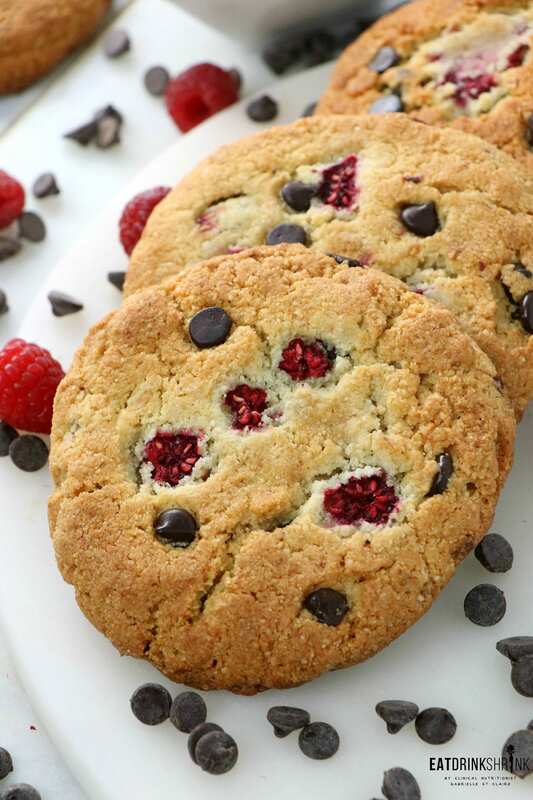 It’s my staple almond flour cookie, quick, easy, minimal steps, no vegan eggs, packs flavor, features fresh raspberries, dark chocolate chips, perf for any season, perf for Valentine’s Day, gluten free, almond flour based, and non vegan approved!! 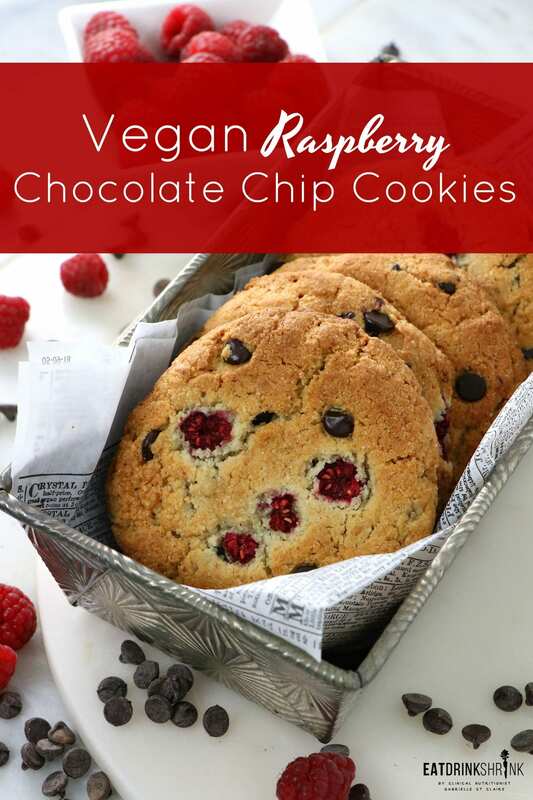 If you’re searching for the perf almond flour cookie or love all things raspberry and chocolate, you’re going to love this vegan Raspberry Chocolate Chip Almond Flour Cookies!! Combine the almond flour, baking soda, salt, in a bowl. In the bowl of a stand mixer, cream together the vegan butter, coconut oil, and sugar. Add the vanilla, mashed banana, and continue mixing until incorporated. Add the the dry ingredients to the bowl of the wet 1 cup at a time, beating well after each addition. 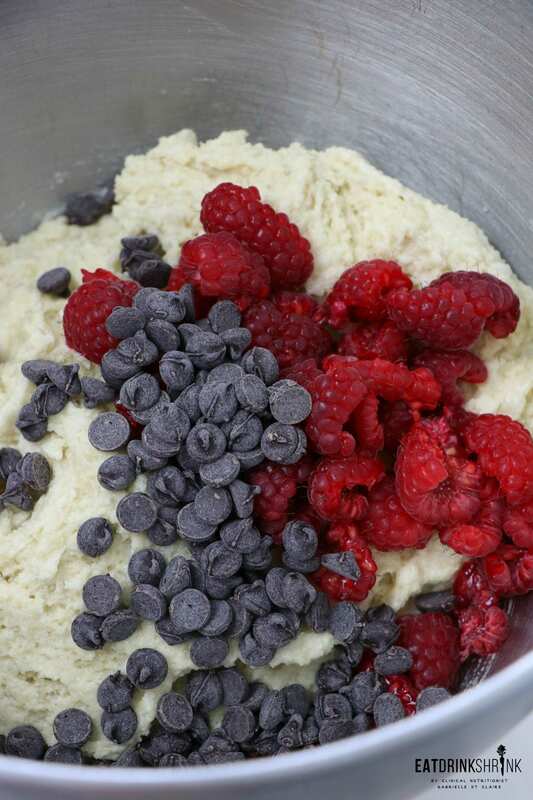 Fold in the chocolate chips and chopped raspberries. (I cut eat berry into 2 or 3 pieces). You can also add some chopped pieces on top for added appeal. 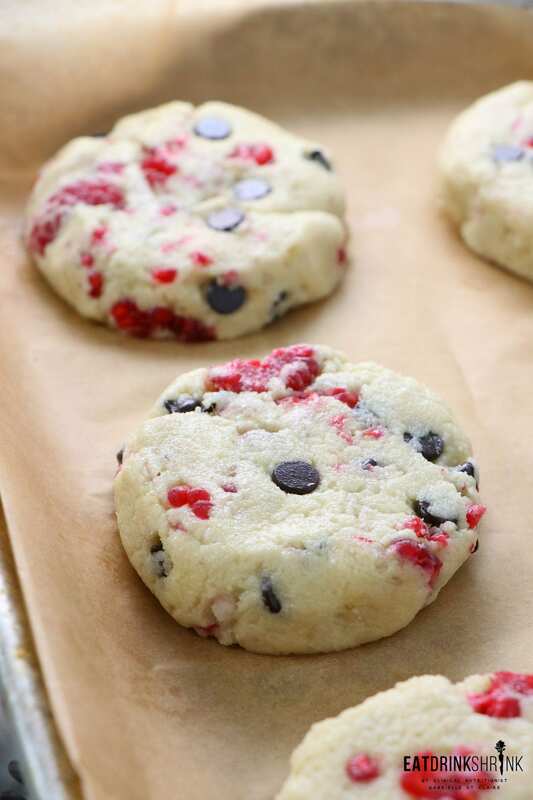 Form the dough into tablespoon rounds and place on the lined baking sheet about 3 inches apart. Bake for 2o minutes, or until golden brown around edges. Remove from heat and allow to cool, then place on a cookie sheet to firm up. Enjoy the day of if possible! They will take on a softer texture if left in a cake stand, but wills till hold together!